I have had a lot on my mind lately, not only about the shootings in Connecticut, but they were kind of the straw that broke it. My thoughts have just been running around trying to find an outlet. I decided maybe putting my thoughts down here would help quiet things in my mind a little. I know not everyone who reads this believes as I do. But these things have been pressing on my mind like I can't keep them to myself anymore. At the moment I'm feeling very emotional. 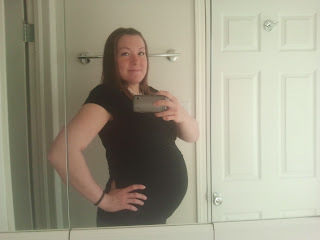 Obviously this isn't too uncommon given the fact that I'm pregnant so the two things come hand in hand a lot. Today, I'm emotional because of the elementary school shooting in Connecticut. I can't even imagine what those affected are going through and I can't help but wonder what I would do and I just start crying when I think about it. I had to grab my two little guys and give them each a long hug... longer than they were willing to to let me. I didn't want to let go of them because you never know when something tragic could happen. Obviously you don't want to live your life expecting the worst or expecting it around every corner, but I am reminded of how important it is to love those I care about more. I'm reminded to show my love more because I can't know if it will be the last opportunity to do so and if it isn't, good: that love wasn't wasted and I get to love on them even more. I'm grateful for the gospel of Jesus Christ and the blessing it is to know that as we live worthy of the blessings of the covenant, my family has been sealed to be together for time and all eternity. It is a comfort to me and I long for those who have been devastated by the tragedy to receive the same comfort. I don't think it is a coincidence that the missionary age just changed which brought a sudden major increase in missionary callings around the world. What better time than this for people to receive such a message of comfort and joy. I really don't like to get all mushy gushy on here, it has just been pressing on my mind. I have the hymn "Where Can I Turn for Peace?" stuck in my head and the part that keeps repeating itself is "Who, who can understand? He, only One." I feel exactly that way. I was so upset by the events of today as well as some other recent things brought to my attention, that I knew the only place I would find some peace would be by turning to my Heavenly Father and Savior. I have a hard time wanting to read my scriptures as regularly as I should. I tell myself I'll read as my boys are falling asleep for their nap each day because it is a quiet time and I can't do much else until they are asleep. I just don't always find it easy to get my head and my heart in the right place right then. I'm still all wound up from trying to get them in bed. So it hasn't happened like I'd originally planned, but I'm always grateful when I do. I don't post much about the spiritual aspects of my life because I don't expect that to be what people are interested in reading about and don't want to make light of sacred things, but like I said, this stuff has just been pressing on my mind and I don't know how else to ease the pressure. 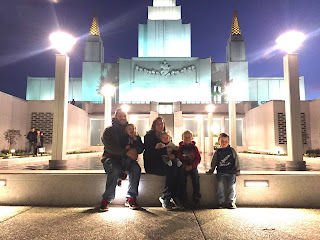 After I got the boys down I felt so much like I needed to read my scriptures for some peace and guidance as well as to show my gratitude to my Heavenly Father for blessings I've been given. I was just so upset about the tragedy and I know I always receive comfort and personal revelation when I give myself to studying the scriptures even for a short time. Well I decided to pick up where I'd been reading last in Alma 43. In verse one it talks about how Alma's sons left to serve missions and Alma went too because he could not rest. The word rest has a footnote which caught me by surprise so I clicked on it because I was on my phone's Gospel Library App. Well the footnote took me to Ether 12:2-3. As I read I realized the meaning of "rest" in that context but I noticed I had, during a previous study time, highlighted verse 4. I didn't remember what it was so I kept reading and I was struck by the words and felt the warmth of the Holy Ghost testify to me that this was for me right now and the Heavenly Father loves me and is aware of me and all those in need. Verse 4 reads: "Wherefore, whoso believeth in God might with asurety bhopefor a better world, yea, even a place at the right hand of God, which chope cometh of dfaith, maketh an eanchor to the souls of men, which would make them sure and steadfast, always abounding in fgood works, being led to gglorify God." Isn't that what everyone is expressing a hope for as they mourn the tragedy in Connecticut and the other terrible events which have taken place not so long ago? We hope for a better world because we fear what this world has become and is becoming. That is what made me think of the missionaries who are going out in increased numbers right now. We want people to know about and believe in God so we have hope for a better world that is always abounding in good works. Despite the tragedies and the bad things that are going on and that will go on as time goes on and leads to the 2nd coming of our savior Jesus Christ, there will still be people who believe in Christ who are hoping for a better world and are trying to do good works and glorify God. I am grateful for that and for the peace it brings me. I hope you can hurdle these emotional pains and continue to focus on all that is good and beautiful in this world. Keep on truckin'!